Power, greed, and envy fill Damon and Ilisha’s world. Their hope of settling into a life of peace and family remains out of grasp. Damon is kidnapped and forced to stand trial for the death of his father while a breed of hybrids designed to destroy all angels is set loose. With no choice but to leave her earthly mother and baby behind, Ilisha struggles in a world of high politics and family feuds. She must become an ultimate warrior to save her husband and both the worlds she loves. 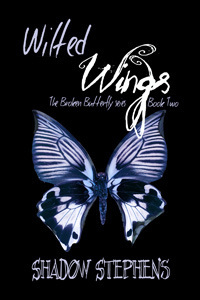 Purchase Wilted Wings now on Amazon. 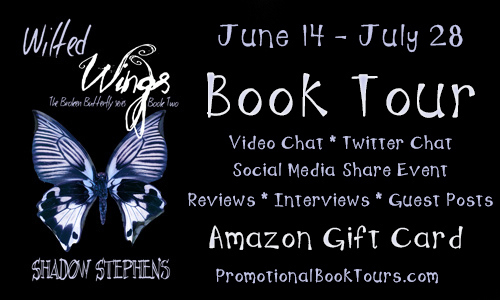 Don’t forget to enter the Wilted Wings Blast giveaway for a chance to win a $50 Amazon Gift Card! Bram sat beside Ilisha and she took Brooklyn from him. Caligula and Diniel went to the house to pack up everyone’s clothes and anything else they may need. “Are you doing okay?” he asked softly. She bit her lip to keep the tears back and shook her head. Needing to contact Damon she asked Bram to keep an eye on the baby and she walked outside. Making sure the church was out of site she sat down on a stump. Ilisha knew it wasn’t smart to push into Damon’s mind, but she needed him. Livillica would be waiting for something like this and make sure to cut Damon off from her. Thankfully he was alone. Sitting on the edge of the bed he had his head hung low. “Damon,” she called and his head snapped up.